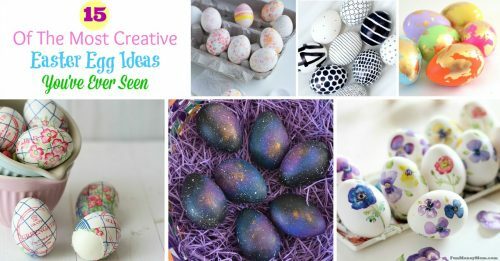 Looking for a fun Easter egg decorating idea? 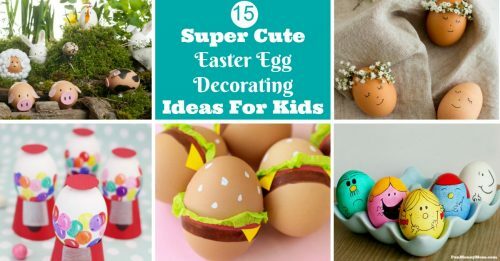 Your kids are going to love making these friendly Easter egg monsters! You know how when life gives you lemons, you should make lemonade? Well, I did that. Sort of! 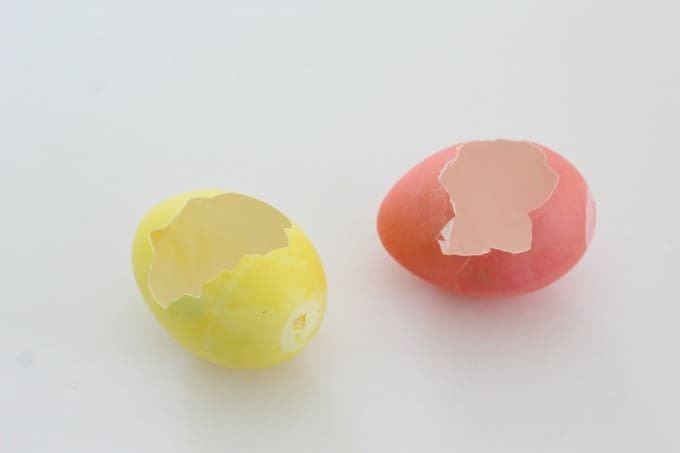 I’m in the middle of an Easter egg making binge for my next Suncoast View appearance and sometimes things haven’t gone exactly as planned. 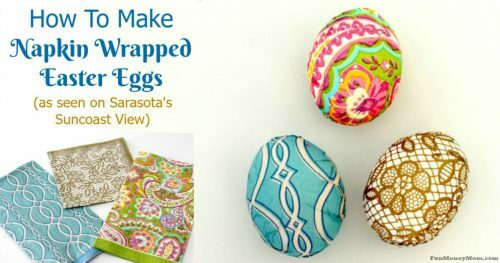 I was on a roll…I loved my Disney Princess Easter eggs and my marbled eggs turned out great too. Unfortunately, the streak did NOT continue. Ever had a vision of something that was going to be the most amazing thing ever, then it’s not? That’s what happened to me and to make a long story short, I ended up with broken eggs. I was actually about to break these up even more for my mosaic Easter eggs (coming soon), but something about them screamed monster to me. Time to make lemonade! First I had to figure out how to get them to stand upright. I went through my craft supplies and found these glass marbles. 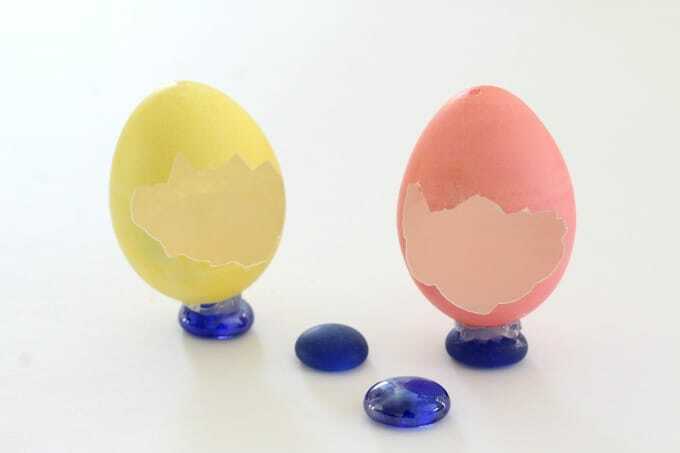 Gluing them to the bottom of the eggs did the trick. How easy are these? 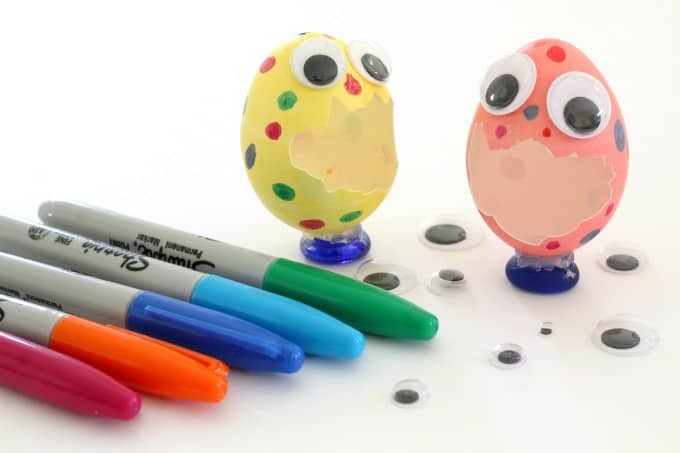 All I had to do was glue on some googly eyes and add circles with permanent markers and the monsters were finished. I love how cute these turned out. 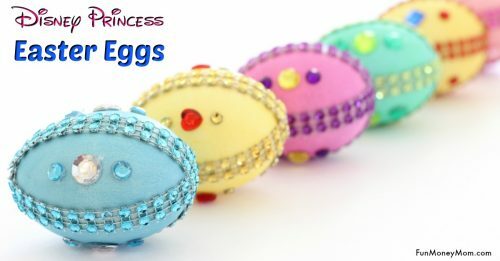 Who knew that a failed project could turn into such a fun Easter egg decorating idea. The monsters just needed one more thing…monster food. 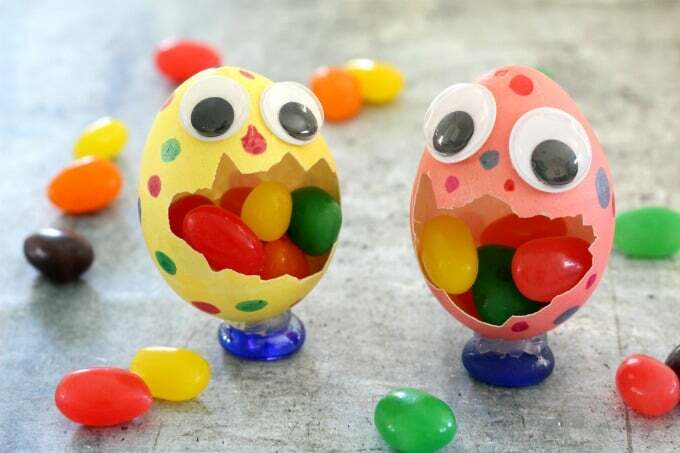 Since I didn’t have any monster food on hand, jellybeans did the trick just fine. 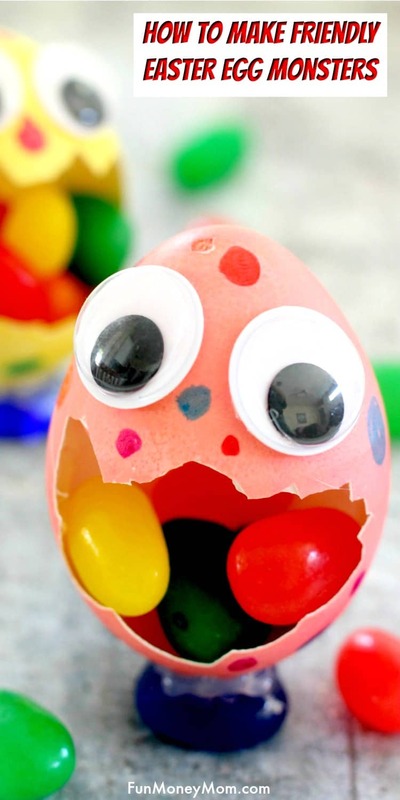 So if your first idea doesn’t work out, make some lemonade…or Easter egg monsters!